The perfect way to grow a lilac if you've not got a large garden - all of the beauty, none of the size! A fantastic new dwarf Lilac that naturally only grows to just 4-6ft tall. Ideal for smaller gardens or for sprucing up patios and decking areas in a large pot. Produces fragrant pale pink flower clusters which make beautiful cut flowers. A low maintenance, compact shrub, it needs little pruning or special care. Supplied as a large, established plant in a 4.6L pot ready to plant out or repot. In late spring 'Sugar Plum Fairy' becomes smothered in a mass of pale pink flower clusters - each one with a lovely lilac fragrance - which make very nice cut flowers. As it blooms quite late in spring it brings welcome colour to the garden before summer bloomers get going. Because 'Sugar Plum Fairy' is a dwarf variety of the classic lilac, it won’t take over your beds and borders and will not grow too tall meaning you can really enjoy the beautiful flowers and fragrance with very little maintenance required. 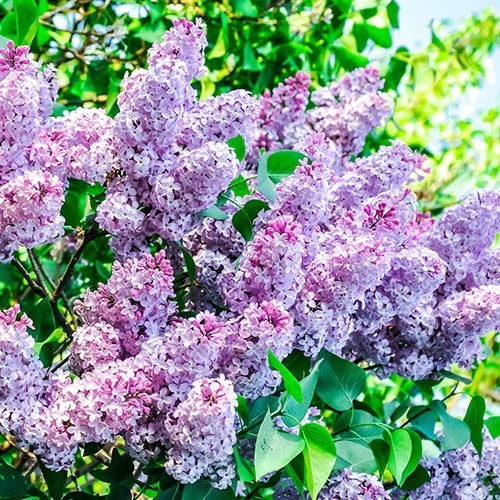 A deadheading of faded flowers will keep the lilac flowering for as long as possible, and there’ll be little to no pruning needed thanks to its dwarf and compact nature. Although 'Sugar Plum Fairy' will tolerate a little shade it will be at its best in a sunny spot. This is a very easy little tree to care for, it likes a rich moist soil and just needs a light trim to shape after flowering is over. Why not try growing as a fragrant flowering hedge for something a little bit different?! Supplied as a large, established plant in a 4.6L pot, ready for planting out. Supplied in a 4.6L pot ready to plant straight out. 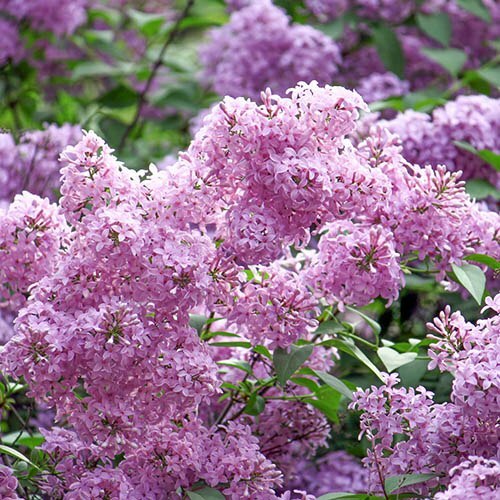 Plant in full sun - lilacs need at least 6 hours a day to flower well. Incorporate well-rotted manure or garden compost into the planting hole and add mycorrhizal fungi to help root establishment. Prune every other year, after flowering to maintain shape.